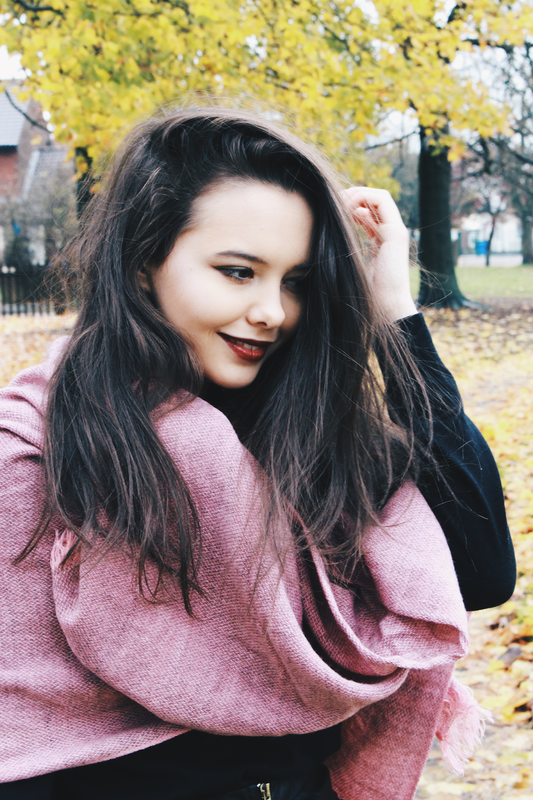 Today's blog post is giving off the Autumn-vibes with the orange leaves and tree's. I can't do a Autumn-inspired posts without taking some shots with a aesthetically, matching background. 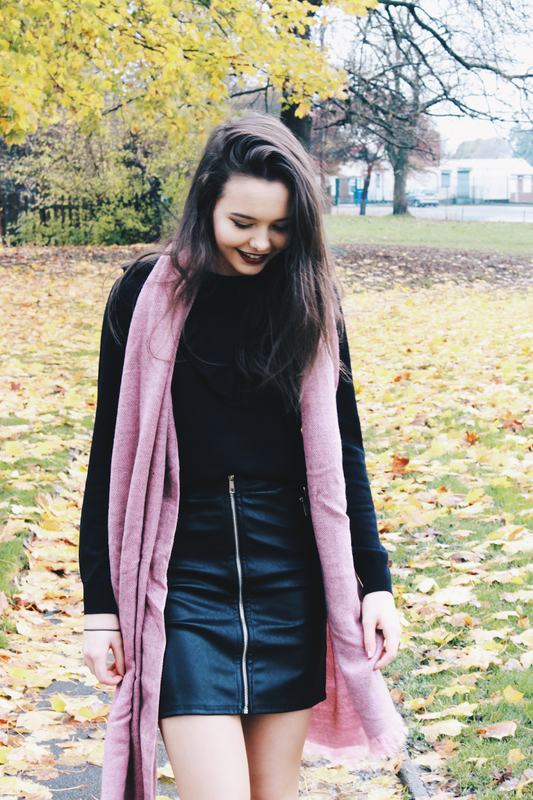 Today's post is an OOTD to share some of my essentials at this time of the year. Of course, I live in England where the weather actually matches the season so I'm already wearing my knits to keep me warm. In today's outfit, I'm wearing a cosy, slim fit, black jumper from Joy which has a frill detail that I absolutely love, as it makes it different from the classic wooly jumper. It looks really pretty tucked in my black PU zip front bodycon skirt from Quiz Clothing. I feel like this outfit can be mixed and matched to create a day and evening look. I also think it is essential to have a scarf to keep you warm but also looks amaze. 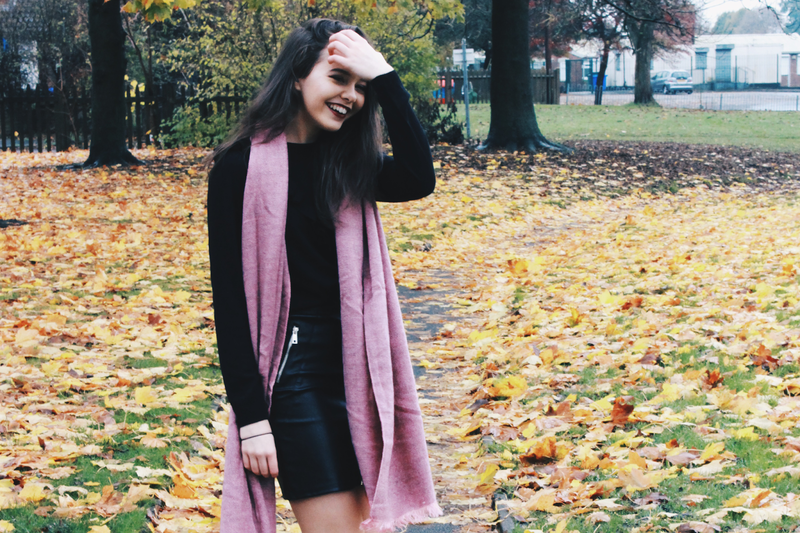 I'm wearing a Twill Pink scarf from Joy which matches the all black outfit perfectly as it gives it a pop of colour. Lastly, I paired the look with my heeled boots from Forever 21 and my favourite socks (yes, I have favourite socks) from Zara, I'm obsessed with the mustard colour! Such a cute outfit. I love the splash of pink with the scarf!